This the Manus, Father of the Abyss Expansion Set for Dark Souls: The Board Game. It was a **retailer exclusive add-on** from the Kickstarter campaign. 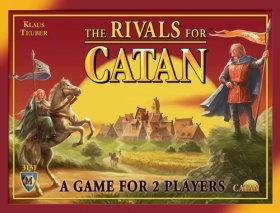 The Rivals for Catan is a two player game that features a reduced pool of cards, without the more aggressive style of action cards found in the original Catan Card Game. 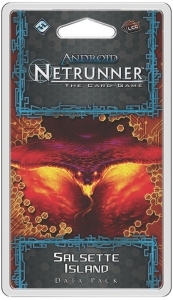 Therefore, all action cards will be able to be used from the beginning of the game unlike in the original card game.